Alliance provides liability insurance and risk management services to member care providers. 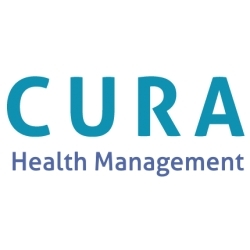 Jacksonville, FL, May 08, 2018 --(PR.com)-- CURA Health Management, a nationally respected healthcare enablement company with expertise in accountable care organization (ACO) management, has entered into a partnership with Toro Risk Consulting Group, LLC. The partnership gives CURA and its care providers access to the strongest professional liability carriers in the nation, and will help CURA design and continuously evolve its enterprise risk management strategy in light of the US healthcare system’s transition to value-based care. The alliance will ensure that all member physicians secure stable liability coverage, while capitalizing on their successful care coordination and patient safety efforts to develop a collaborative purchasing group. “We believe that our strong vendor relationships have been and continue to be the foundation of our success. Risk-based contracting presents opportunities to further align collective interests where all parties focus on delivering better care at a lower cost, and everyone wins,” Marsha Boggess, CURA Co-Founder and Managing Director, commented. "Perhaps the most exciting aspect of our partnership with Toro is our shared belief that professional liability should be evaluated in conjunction with a larger enterprise risk management model." CURA Health Management is a healthcare enablement company that empowers local market provider entrepreneurs to own and operate their own Value Service Organizations in a franchise model that extends their reach and capabilities to deliver quality care, improve patient outcomes, and maximize revenue. CURA’s innovative resources and expert solutions are administered as an extension of providers’ current in-practice resources, expanding care coordination and care management services. These solutions support financial success within both traditional payment models and also support expansion to new services, allowing partners to succeed within both current and ever emerging, value-based payment models. To learn more please visit our website, follow us on Facebook or connect with us on LinkedIn. Toro Risk Consulting Group is a highly specialized company that advises healthcare companies, insurance agencies, and providers as they navigate the transition to healthcare risk-sharing. Toro provides brokerage services, as well as thought leadership and consultative services on professional and payor liability. Learn more at www.tororisk.com.